Get ready for a fun camping trip with this R-Pod travel trailer. With room for four, bring along the grandkids for memories they won't forget. Easily prepare a meal with a two burner cooktop and store your food in the refrigerator, or put the dry goods in the pantry. You'll love the two twin beds with a nightstand just like at home. 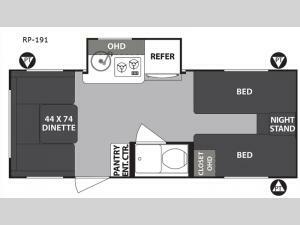 Bring along Monopoly for a game night around the U-dinette that everyone will enjoy. 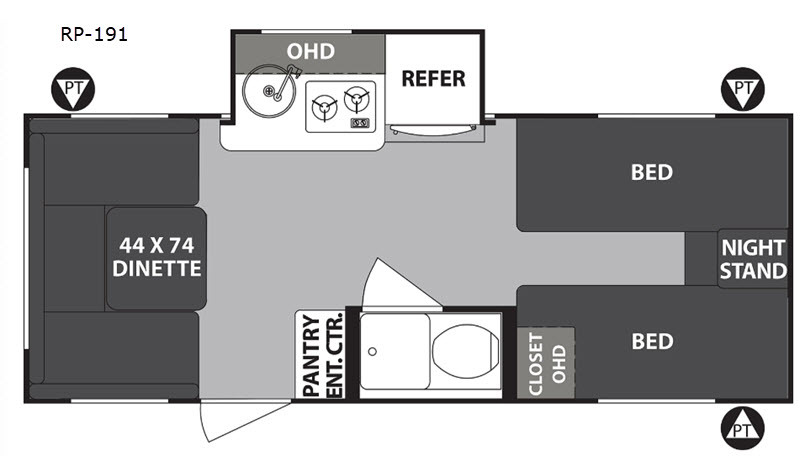 This unit features an entertainment center, which gives the fun option of bringing a TV for shows and movies. With a pass-through storage in this model, you can store your bags or bring along extra lawn chairs. 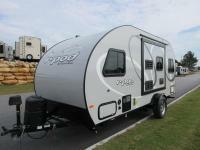 Your next adventure is calling your name with this R-Pod travel trailer!